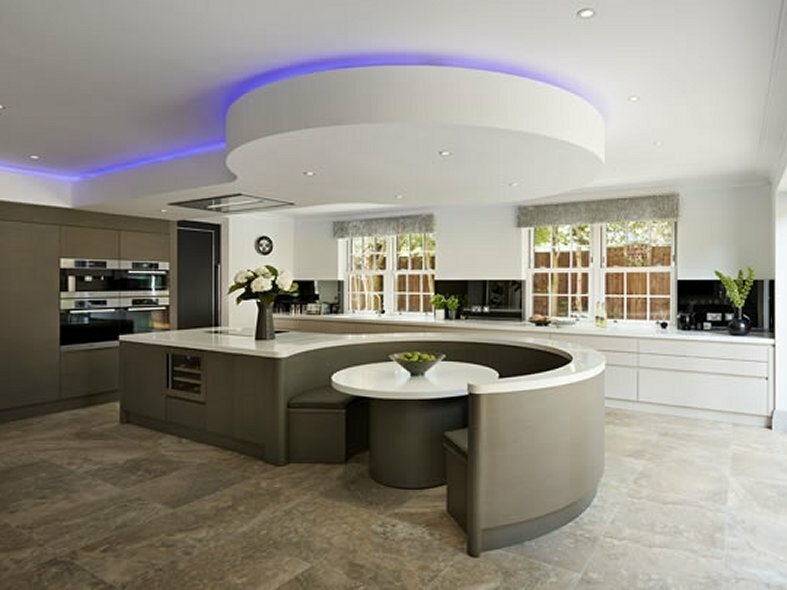 This gorgeous open plan kitchen with curved dining area is from the Charles Yorke Rio Valencia range. 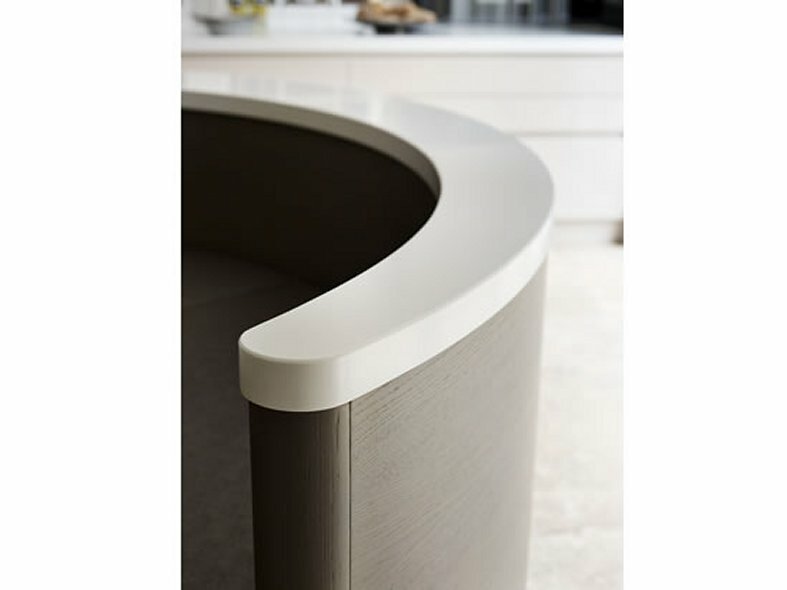 The project designers, Charles Yorke retailer Jones Britain, chose DuPont™ Corian® supplied by CD UK because of its thermoforming capabilities especially for the island unit where the worktop opens out into a curved seating area. 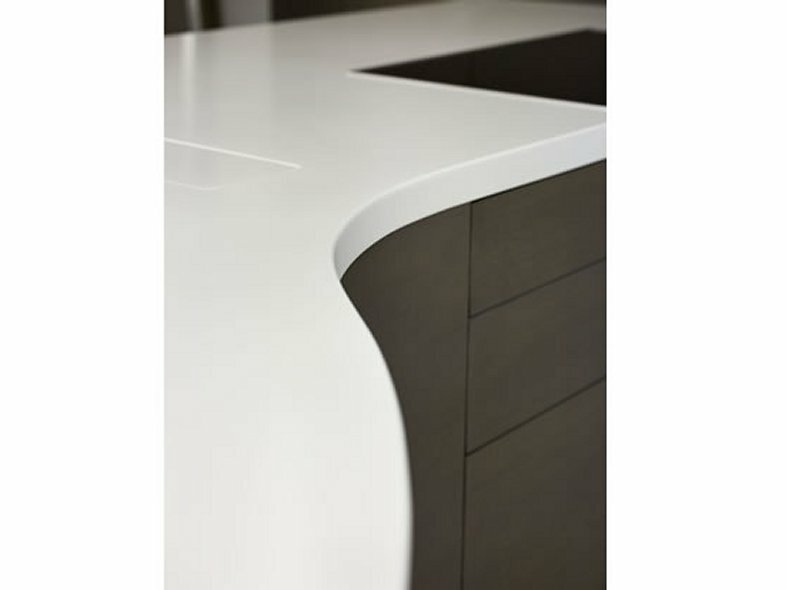 Corian® was also used for the worktop run that spans the whole length of the kitchen, it is joined so inconspicuously that it appears like one long piece. Due to the simplicity of the design and the clutter free layout the visual appeal of the furniture is enhanced by allowing the colours and woods used to take centre stage. 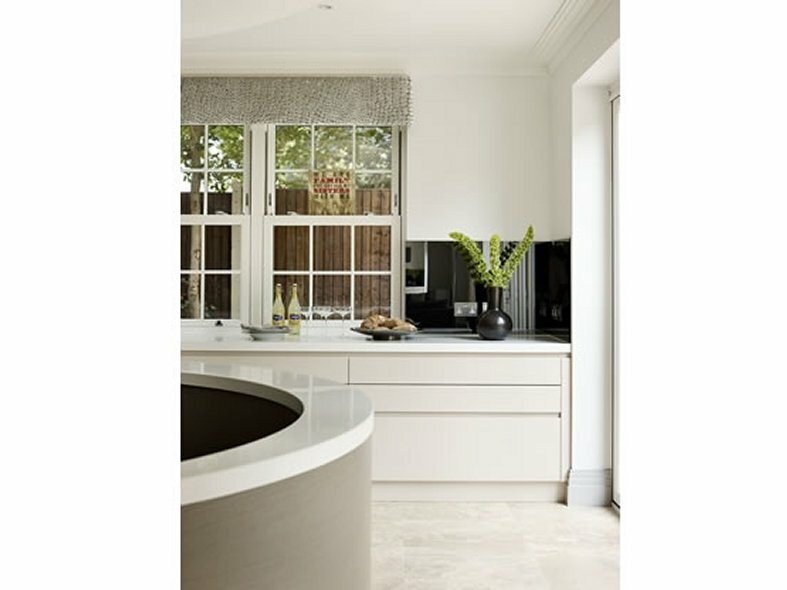 Added features include a bulkhead with a ceiling extractor and perimeter lighting, echoing the shape of the island unit. 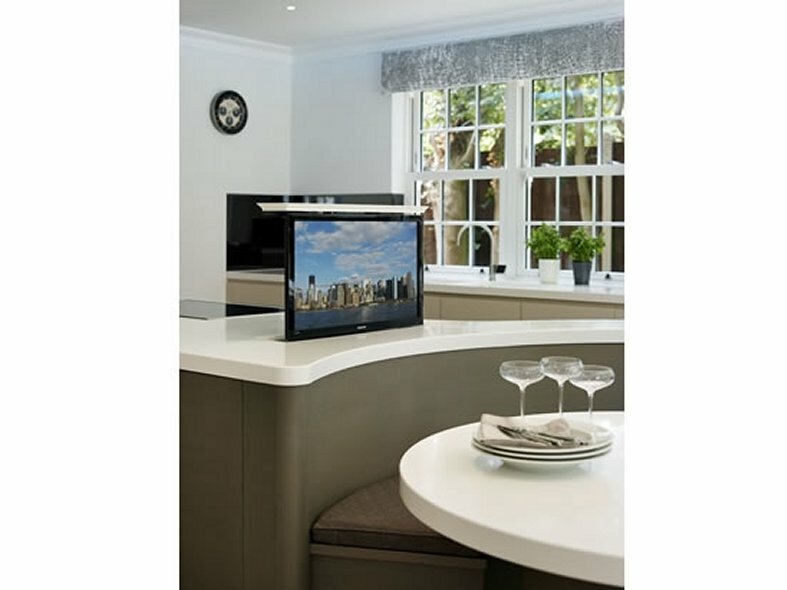 A pop up TV with Corian® lid was also designed into the island near to the banquette seating area. 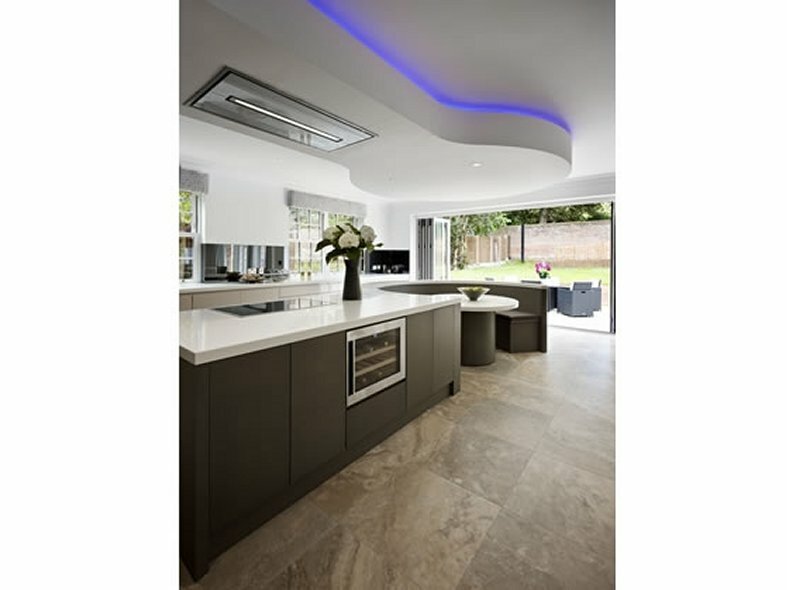 This kitchen was nominated for a KBBReview Award 2014, for Kitchen Designer of the Year as a finalist. 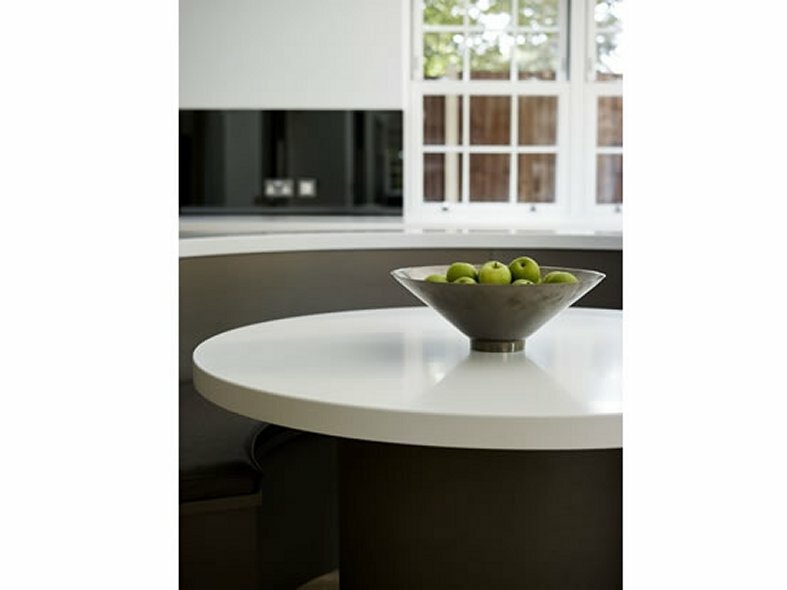 The Corian® used was Glacier White, designed and installed by retailers; Jones Britain. Charles Yorke built the furniture and the Corian® fabricators were Interfab.